XWHLO is giving away goodies from Hongkong to her loyal followers. 7. Flavoured "Marion Lip Balms"
11. 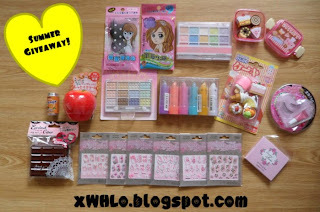 6 packs of "3D Design Nail Sticker"
My granddaughter would love all this!